Life, Happily Ever After: Save $939 in 30 min. I am a DIYer by necessity most of the time. We decided to build a bed because ours broke unexpectedly. We built a table because we didn't like eating on the floor. This weekend, we decided to make our own laundry soap because we were out, and knew there was a better, more budget friendly way to do things. First we picked up the necessary ingredients. You will also need a 5 gallon bucket. I had one on hand, but you can pick one up for about $3.00 at Lowes or Home Depot. We spent a total of $10.59 + tax. First, put a pot of 4 cups of water on the stove to boil. Right when it starts to boil, turn the heat to medium low. Put the grated soap into the water, and stir continuously until it has all dissolved (about 10 min). Add enough water to almost fill the bucket and cover. It will have to sit overnight to thicken. The next day, open it up and stir. It will be chunky. After we stirred, it got thinner. Lastly, scoop it out and pour it through a funnel into the bottle of your choice. Only fill it half full, and fill the rest of the way with water. Shake to combine. Since we just ran out of Mrs Meyers, we just reused that bottle. One batch made 10 gallons of soap (after you dilute it). For a front load washer, each load uses 1/4 of a cup. That means each gallon washes 64 loads. 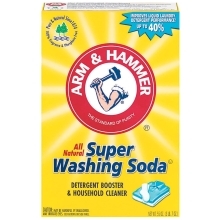 With 10 gallons of soap, that's 640 loads of laundry for $10.59. 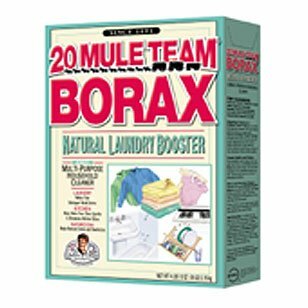 Because we bought large boxes of Borax and Washing Soda, those will last us 6 more batches. 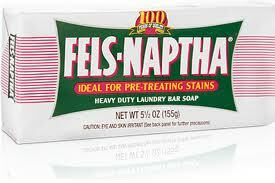 We will have to buy a new bar of soap for each batch, which means the next 6 batches will only cost $1.69 for 640 loads. Before we need to replenish all of our ingredients (another $10.59) we will have spent $10.14 on Soap bars for 3,840 loads of laundry. So for a total of $20.73, we can wash our clothes 3,840 times. That comes out to just about 1/2 a cent per load. We spent $7.99 to buy that bottle of Mrs Meyers laundry soap, which washed 32 loads. That is $0.25 a load. We would spend $960.00 on laundry soap for the next 3,840 loads. That is a savings of roughly $939.27. Hell, that pays for my front load washer and dryer alone. Well I hope I have you rethinking your laundry habits. Let me know if you make the switch! Awesome, isn't it? It amazes me how much money you can save making your own cleaners. We've been making the switch over time, as we run out of what we already have. One of the things on my Day Zero list is to completely switch to all natural/homemade cleaners, and I'm so excited to get to that point. 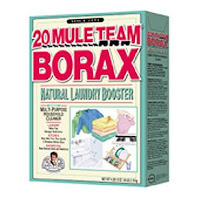 This is really awesome, and I'd like to make some, but our landlord told us we have to use the powdered detergent...she has a front loader, and when she got it apparently the people told her to use powdered stuff because the liquid ruins the washer faster? .. This said it was front loader approved .. I kind of want to just make it and use it anyhow! You make me want to make this :) I will have to talk to Tim about this one. That is the most amazing thing I've ever seen. I wanna make soap! And let me know if you find a recipe for dish soap, I would be on that!